Ahhh, Richard. The man who set me on the next journey in my writing career. He’s one of those guys who will charm the socks off you. I can’t help but listen to his advice. Heck, today I came home with a tub of coconut oil and a packet of coconut flour just because he was telling me about its amazing baking applications. Initially, I actually met him because he was my middle sister’s best friend’s little brother (at the time, all I really knew about him was that he kept a rat called Rattex). Try that for a tongue twister! Say “my middle sister’s best friend’s little brother” six times fast! He kept popping up in my life and I never suspected that he would one day be writing right along with me…and that I would learn so much from him. What was the biggest lesson you learned as a contributor to the anthology? Each writing project teaches you something about yourself, but a collaborative project can acquaint you with your limits. Limits of personal time management, limits of personal leadership and, more importantly, the limitless potential of a collaborative effort. Writing is usually a solitary affair, but when writing for an anthology it’s not just you. Your work needs to match up to others, so you naturally up your game. An anthology gives you an opportunity that you also don’t always have readily available, access to other writers and an overarching volume editor. These two parties also have a stake in the quality of the anthology, so they tend to provide focussed and valuable feedback to your work, and you to theirs. If you have the opportunity to write for an anthology, I’d recommend it. Your co-authors will make you a better writer, and hopefully, so will you them. It’s a pretty exciting time, actually. I am writing a series with a co-author, the talented Carmen Dominique Taxer, and simultaneously blogging about the process of writing, post-production, publication, and marketing the series on DauntlessWriting.com. I have the aim of doing this full-time, as opposed to trying to squeeze it in between full-time drudgery at a traditional nine to five. We’re going full indie, taking responsibility for every facet of the creative process. Marketing is creative too! I’m hoping that the non-fiction work will be of some help to others who walk the same path as we are. The series itself is something that I believe will have seen the light of day if the traditional gatekeepers of the publishing world had their say. The beauty of indie authorpreneurship is the ability to do what you want, when you want to, and not being beholden to someone else’s idea of what will be “worthy” for publication. If traditional publishers were honest with themselves, they would admit that they have no idea what makes one book explode onto the bookshelves of every home in the world and another fizzle back down into obscurity. The series is called Sanguinem Emere, (which is an archaic legal term that, loosely translated, means redemption bought through blood). It is a Gaslight Vamp series which draws from diverse inspirations, such as from the Anne Rice Vampire Chronicles to A Song of Ice and Fire, to the Steampunk genre, to the classics’ Gothic Horror. Like I said, traditional publishers would have had no idea what to do with this. If an aspiring author approaches you about writing their first novel, what advice would you share? ABC. Always Be Creating. There is a reason that the first episode of the Dauntless Writing Podcast is on this topic. The rest of the stuff will follow, just get yourself in the seat and write. Even if you think your writing is no good, even if you think you have a bunch of other stuff to do first, like reading up on craft or publishing. Write, because the best way to get better is by writing. Read up, by all means, but never let that stop you from putting words on paper. Priority number one is Always Be Creating. You can always make it better later as you learn new skills and techniques. 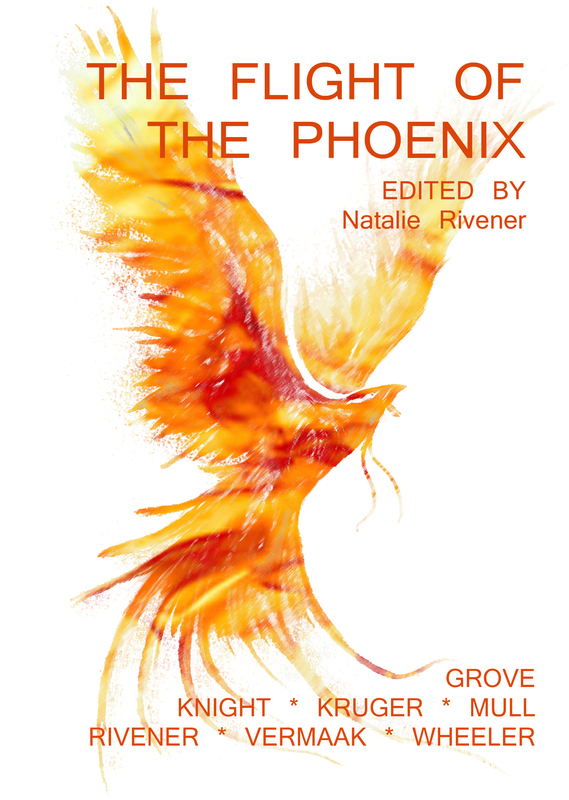 This entry was posted in About writing, Book launch, Stories and tagged anthology, author, interview, Richard T Wheeler, short story, The Flight of the Phoenix.